Save some GREEN! $4000 Closing Cost ++ FREE Fence, Blinds & Fridge if the home is close by 5/31/219! Features an open floorplan, with the Kitchen/Breakfast Room opening directly into the Family Room, which also accesses a Sunroom. Flex/Dining Room plus a Powder Room complete the downstairs. Upstairs youll find four spacious bedrooms, including a Master Bed/Bath with his-and-hers vanity, separate toilet and large walk-in closet. Another guest bath with and tons of attic/seasonal storage complete the upstairs. This home as another bath that can be incorporated into this home as well. This plan provides a peaceful separation.Every Ivey Home is built to 100% ENERGY STAR Certification saving homeowner 15-30% on monthly utility costs. 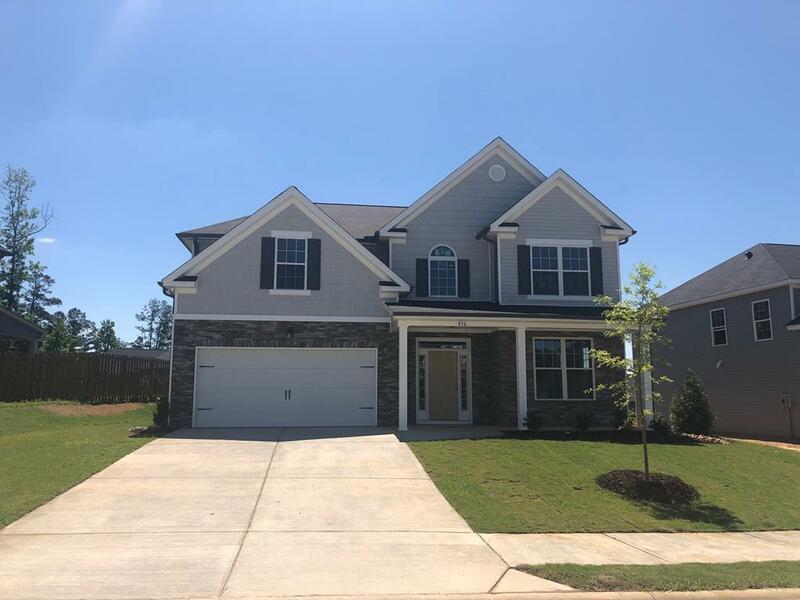 Award winning Canterbury Farms is minutes from Grovetowns Gateway area that offers shopping, dining and easy access the I-20 and Fort Gordon. The community offers walking trails, sidewalks, street lights, a community pool, pavilion and playground.